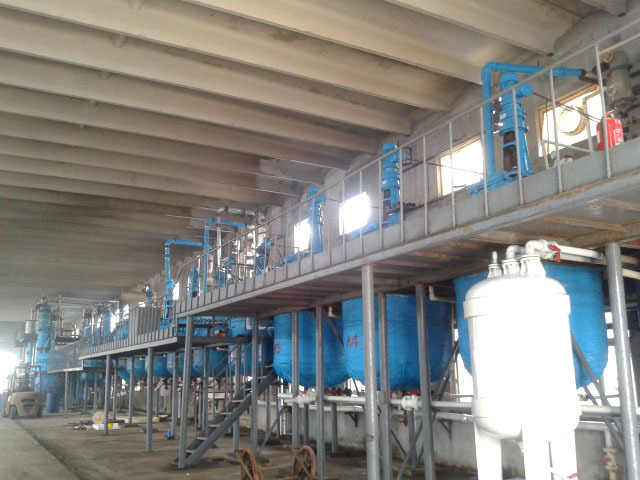 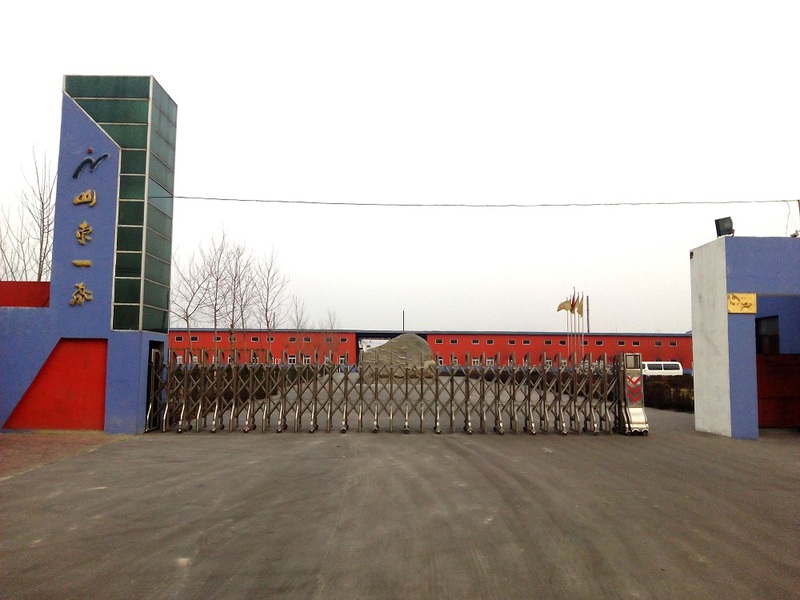 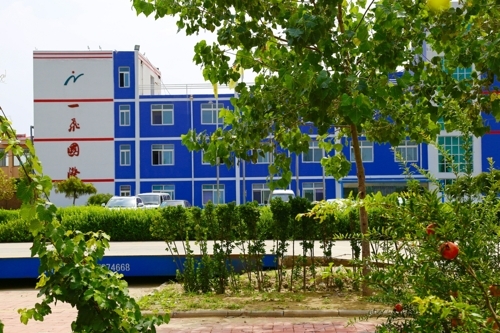 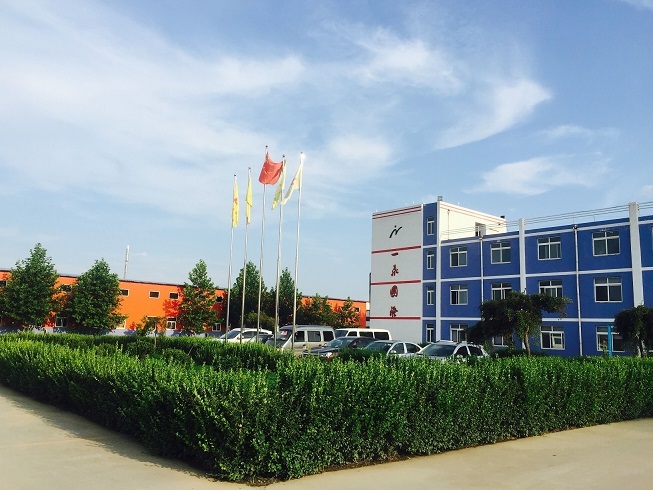 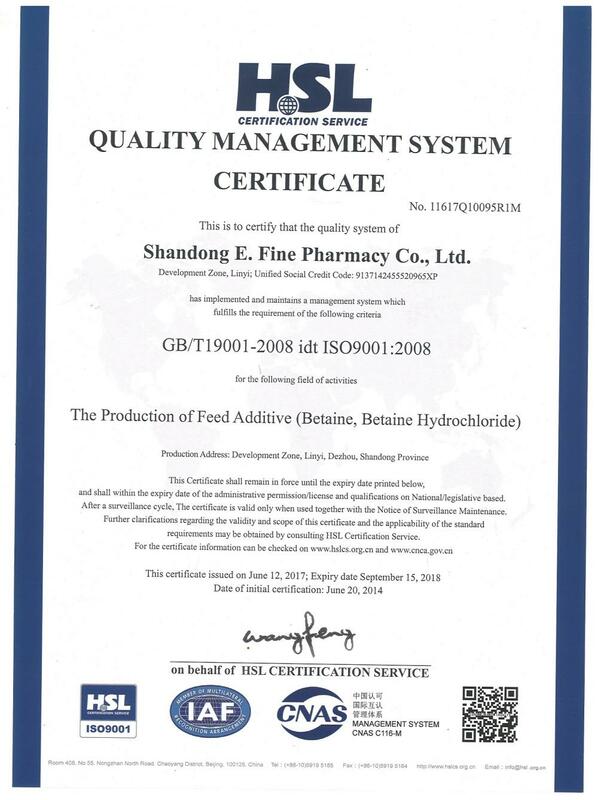 , offering Feed Additives,Pharmaceutical Intermediate, etc. 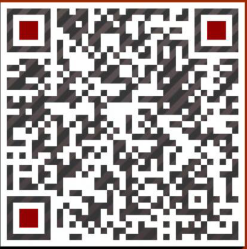 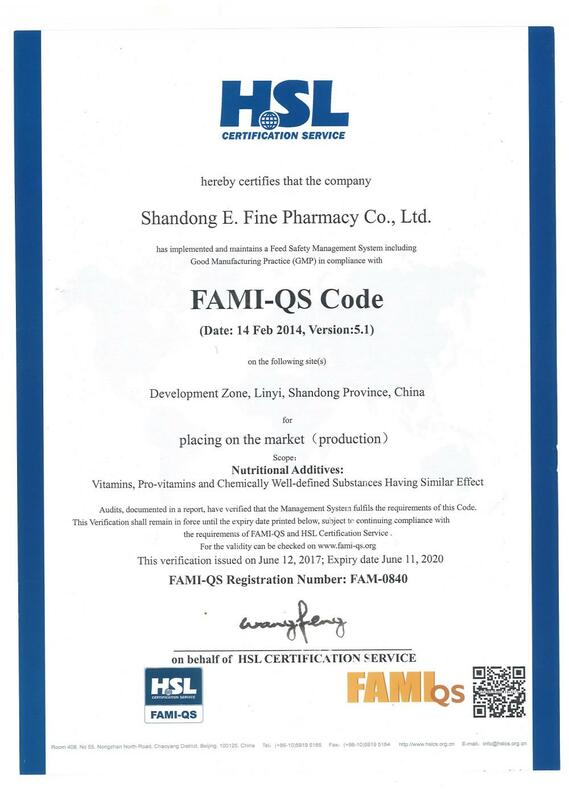 SHANDONG E.FINE PHARMACY CO., LTD [Shandong,China] Business Type: Manufacturer Main Mark: Africa , Americas , Asia , Caribbean , East Europe , Europe , Middle East , North Europe , Oceania , Other Markets , West Europe , Worldwide Exporter: 41% - 50% Certs: ISO9001, FAMI-QS, ISO22000, MSDS Description: Betaine Hydrochloride manufacturer / supplier, offering Feed Additives,Pharmaceutical Intermediate, etc. 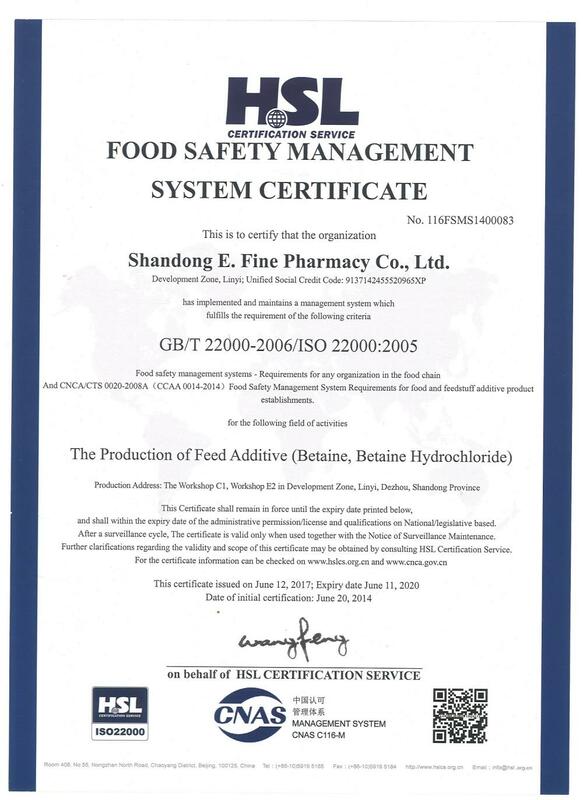 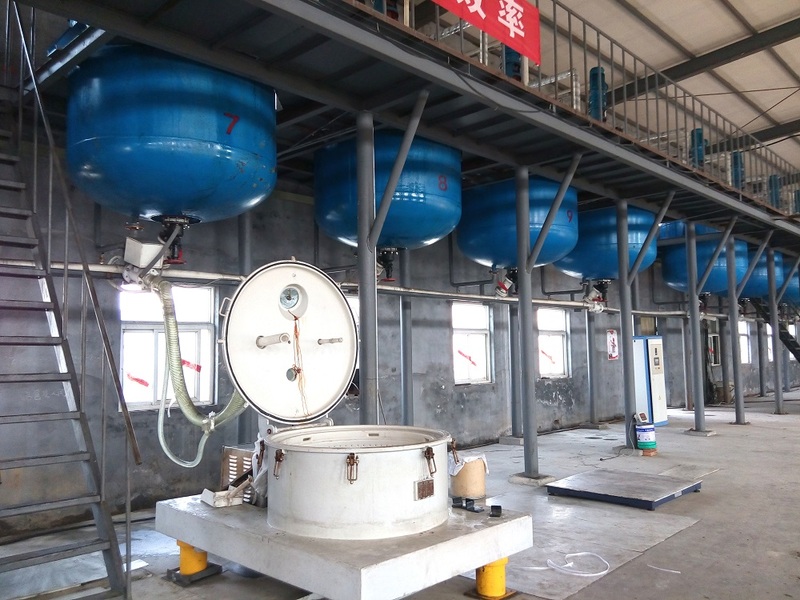 Betaine Hydrochloride,Feed Additives,Pharmaceutical Intermediate,Betaine Series manufacturers / suppliers, offering Feed Additives, Pharmaceutical Intermediate, etc.